All Advantage central chiller and cooling tower systsm include customer specific detailed plant piping layout drawings along with typcial installation drawings. Plant layout drawing include recommended piping sizes selected by experienced project engineers for the application and installation needs for each unique system. The drawings are suitable for installation contractor bidding. 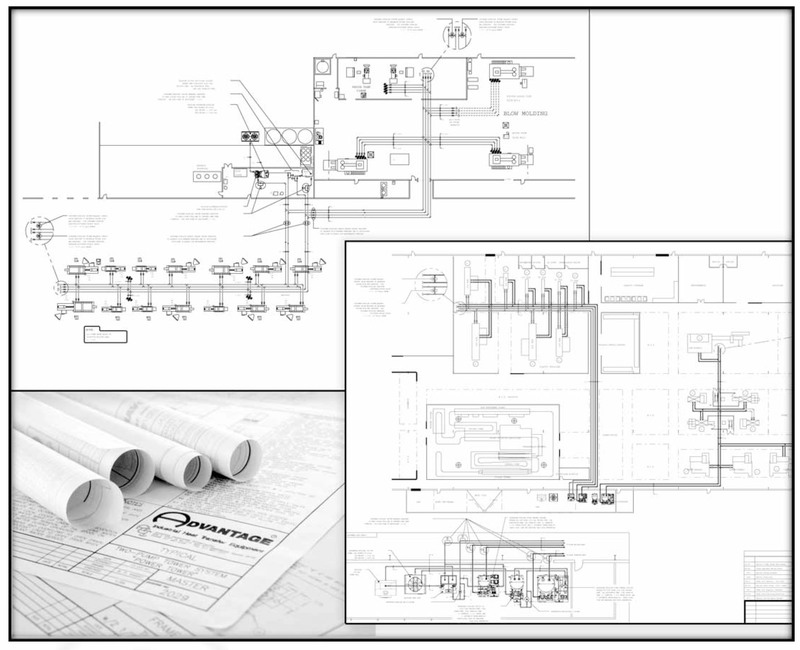 To provide a plant layout drawing for a system, a customer supplied drawing or sketch of the installation area indicating the desired location of the cooling system and location of the cooling loads is required. For more information about plant layout drawing call the Advantage Sales Department at 317-887-0729. Would you like to Download FYI #263 to your browser?